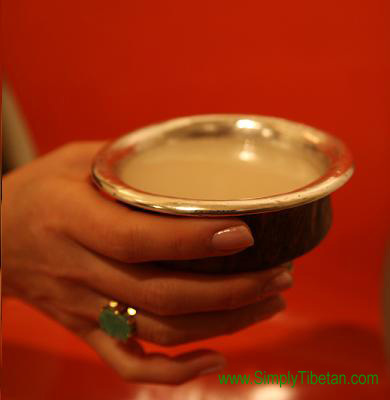 With the end of year holidays and festivities going on, it feels appropriate to post a recipe for Chhaang. I made mine with rice but you can make it with barley too. Dre-chaang (Rice Chhaang) is usually a little whiter and milkier than Dru-chhaang (Barley Chaang). My Chhaang turned out quite sweet (although I added no sugar at all) – it has a lovely little fizz and it’s really quite a delicious drink. The husband is enjoying it very much even while I hear some quiet complaints about being a little too sweet. Anyways, I checked around with some friends and I’m told that the sweetness is due to the type of “phap” or “wine yeast.” I used what’s available in Asian groceries around here – a type of asian rice wine yeast ball – and this I hear yields a sweet wine. 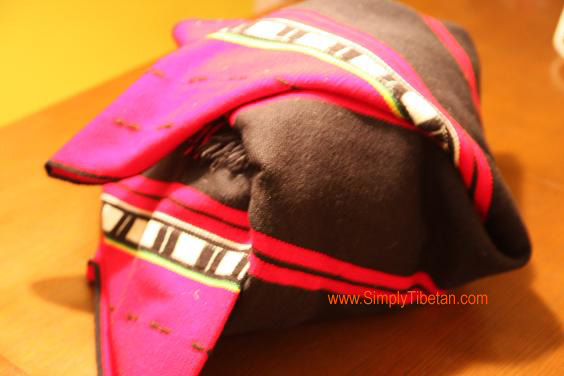 Other types of “phap” that Tibetans here use either come from Kalimpong or from Tibet. And the best Chhaang, I’m told, is derived when you mix the two types of “phap.” Now I am on a quest for some authentic “phap” – any advice you have in this regard will be deeply appreciated. Thug-chay-nang. As an end note, I feel it sacrilegious to post a Chhaang recipe without an accompanying Chhaang offering song. We have so many of them – one of my current favorites is this new contemporary Tibetan song from Tibet by a young Khampa boy called Jampel. He sings with such fresh youthful energy and a ‘joie de vivre,’ so Tibetan and so pure, that it makes my heart sing everytime I hear it. I hope you will enjoy both the song as well as this recipe. PS: Special thanks to Acha Semnyi la, who kindly shared this recipe with me a few years back. Boil the rice until almost done – I boiled it in two batches in my 10 cup rice cooker –using the 9 cup water mark so the rice is just a little under done. 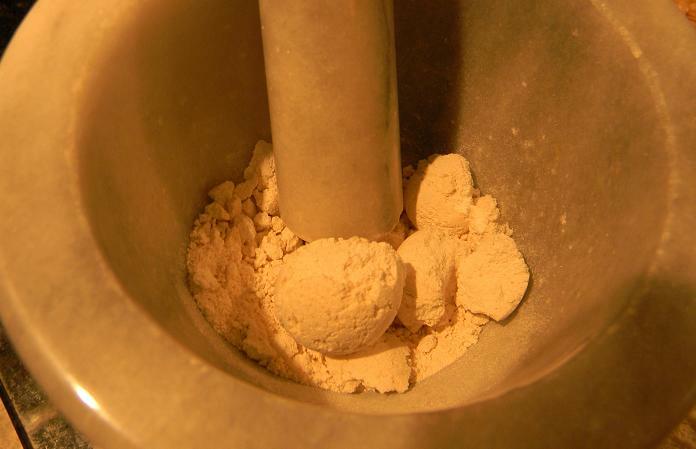 While the rice is cooking, grind the yeast balls really well in powder form in a mortar & pestle. If you have some Tsampa, you can mix this with the ground yeast or just use the yeast by itself. Once the rice has cooled a little but still warm to the touch, sprinkle the yeast and tsampa mixture evenly over the rice and mix it really well. 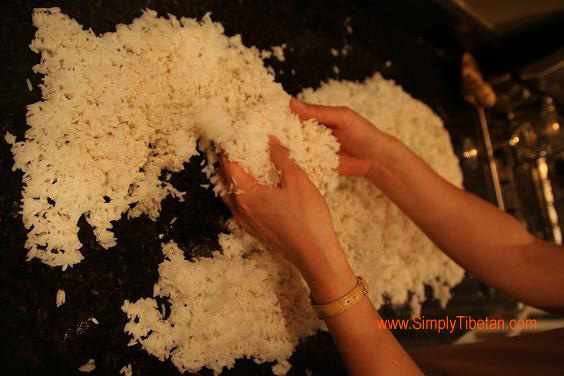 The rice is sticky and will have a tendency to lump up, so gently scoop with your hands and gently mix it all up. Finally, put this mixture into a container with lid. 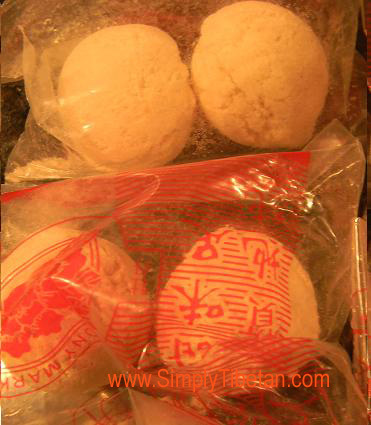 Do not pat is down – you can gently fill the container with the warm rice mixture. Cover tight with a lid. Repeat process with next 10 cups. Wrap your container with some blankets and keep it in a corner of the house with constant temperature – away from sunlight – and let it sleep. You can check it in a few days – you’ll be able to tell from the smell right away if its coming along well. It’ll be aromatic and sweet smelling. The longer you leave the chaang to sleep, the stronger the wine you get. I left mine for about 2 weeks but it was still almost too sweet for our taste but still very good. Now comes the main work. When you are ready to extract your Chaang. 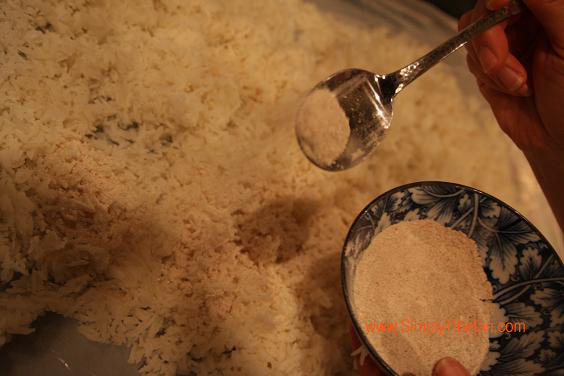 Take a ladle and scoop aside some of the rice from the center making a hollow center. The hollow center will immediately fill with liquid. Start scooping out this liquid and strain it into a container. This is your first batch of Chhaang. It’ll be sweet and strong. 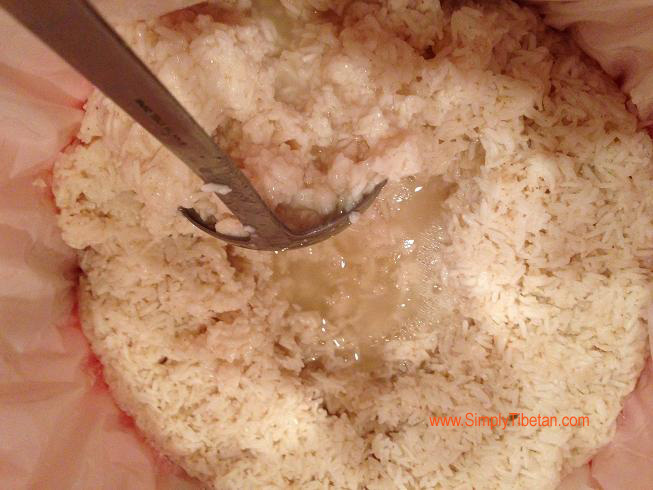 Then add some water to the container to just about cover the rice mash. Put the lid on and let it sleep a few hours or overnight. Then start extracting the Chhaang again – this is your second batch of Chhaang. You can mix the two batches. I was able to pull even a third batch from my Chhaang mixture and it was still sweet and tasty but a little on the light side. Chhaang can keep in your refrigerator for quite a while but you need to make sure that the bottles are appropriate. It will continue to breathe and ferment, so, if kept in a plastic bottle, make sure you let the fizz out once in a while otherwise it may explode and cause for heavy duty clean up. Can we use regular dry yeast like the powder kind or does it have to be like the ones in picture? 1) Is it better to do this in warmer weather? It’s very wintry where I live now, and COLD in my drafty house. But during the summer it will be in the 80’s (27+ centigrade). Are warmer temperatures better for the ferment? Should I wait til summer? 2) Is there anything to be done with the leftover rice aside from composting it? Could I do a much smaller quantity, or would it not work as well? I’m in England but I live near a city with lots of Asian supermarkets so I could probably get the yeast… would ordinary yeast do as well if I couldn’t find any? I love your post… you make the brewing experience so alive, I can almost smell it! I would love to try this… but not sure I have containers big enough!! 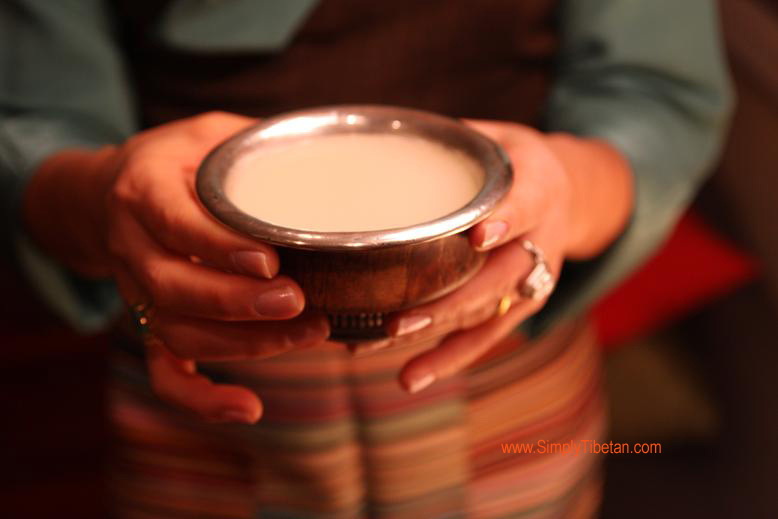 This entry was posted on December 4, 2013 by simplytibetan in Recipes and tagged chaang, chang, chhaang, rice wine, tibetan alcoholic drink, tibetan rice wine, tibetan sake, tibetan wine.